There was no question who OYIA’s first Yoruba Excellence spotlight would be. Luvvie Ajayi is an expert digital strategist, an international speaker, a beloved blogger, and the NY Times best-selling Author of I’m Judging You: The Do Better Manual. Our ‘Sista’ or ‘Auntie’, depending on if you were born before or after Y2K, has forged her own path in the world of online content creation and social commentary. 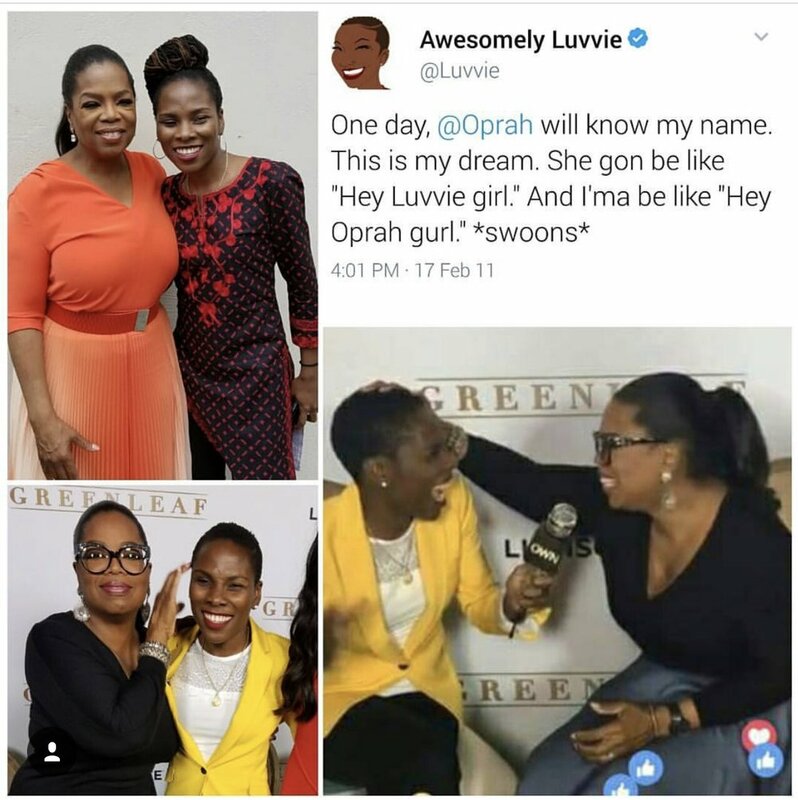 She has caught the eyes of Michelle Obama, Oprah Winfrey, and most Recently Shonda Rhimes signed on to turn Luvvie’s book into a cable series. If you follow her on Twitter, you know that she is extremely witty and funny. If you follow her on Instagram, you know that she is beautiful. If you frequent her website, you know that she has got all of the reads, tea, and receipts to fill your cup (and oh does it runneth over)! If you have heard of her nonprofit, The Red Pump Project, you will know she has a heart for philanthropy. Luvvie Ajayi is inspirational. In a room of billions that is the internet, the world has heard her voice at the intersection of technology, comedy, and activism. 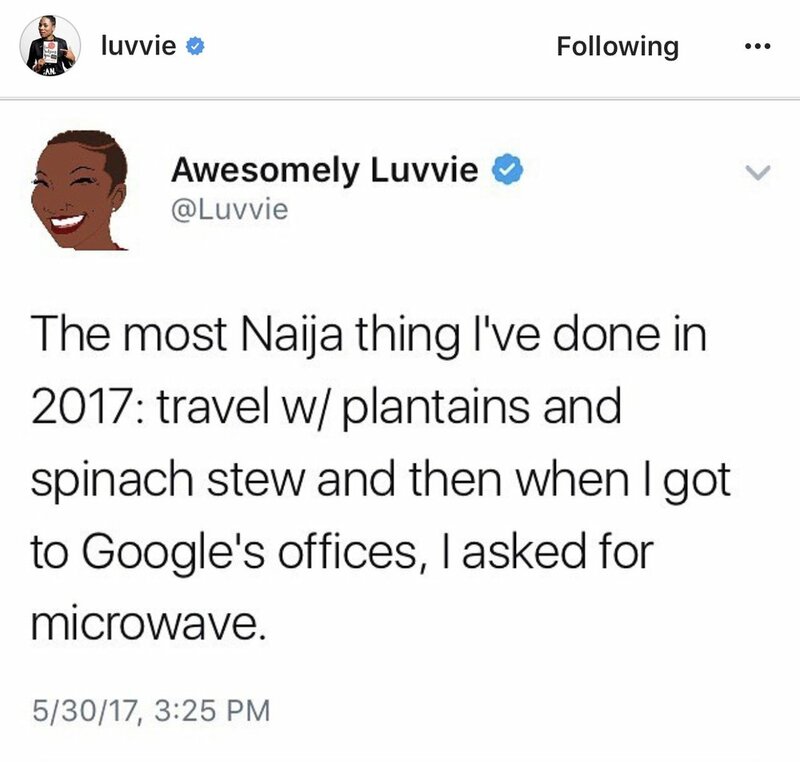 Luvvie, we salute you!